the benefits of ashwagandha (withania somnifera) are immense, earning it a place as one of the most legendary and sought after herbs in the ayurvedic medicine pharmacopeia. If you were stuck on a deserted island and could pick only one medicinal plant to have with you, Ashwagandha (Withania somnifera), would be one of the best choices you could make. A veritable Swiss Army knife of the herbal kingdom, Ashwagandha, also known as Indian ginseng or winter cherry, does just about everything when it comes to improving health. Literally. It positively impacts almost every system in the body, which is why the enlightened rishis—ancient Hindu holy men—considered it one of the finest herbal medicines known to man. Revered for over 4,000 years in the Ayurvedic medical tradition in India, Ashwagandha is one of the world’s most powerful adaptogenic herbs, which means that it restores balance to the body and mind no matter what end of the spectrum you find yourself on. If you are anxious, Ashwagandha will calm you; if you are constantly fatigued, Ashwagandha will boost your energy and stamina. It’s almost as if the herb has a deep intelligence that somehow knows exactly what your body needs for balance and gives you just that. 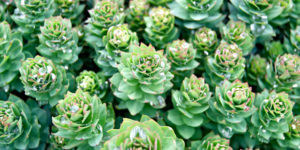 For this reason and more, it is considered to be a rasayana in the Ayurvedic tradition, which loosely translates to “rejuvenative herb.” In fact, scientific studies have clearly demonstrated that it extends lifespan in mice (which typically suggests similar effects in most mammals) and reduces center types of cancer cell growth in humans. 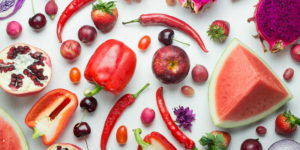 Researchers in India recently conducted cell studies showing that one benefit of Ashwagandha is that its extract disrupts cancer cells’ ability to reproduce in certain types of cancers [1-7], and laboratory analysis indicates that Withania somnifera extract possesses some level of anti-tumor activity and may mitigate many of the negative effects of chemotherapy [1-7]. 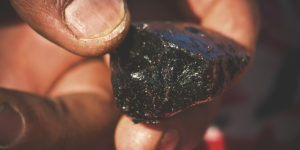 It also quite powerfully stimulates the immune system, increases disease-fighting white blood cell production and activity, and elevates levels of superoxide dismutase and glutathione peroxidase, two of the most powerful antioxidants and health-promoting substances known to man, which likely have quite a bit to do with its longevity-enhancing properties. But where Ashwagandha’s benefits really shine is in its effects on the brain, nervous and endocrine systems, and its ability to bring the mind, body and spirit into balance and harmony. withania somnifera berries. also known as winter cherry and indian ginseng, ashwagandha benefits and balances nearly every system in the mind and body, making it a powerful herb for healing and rejuvenation. 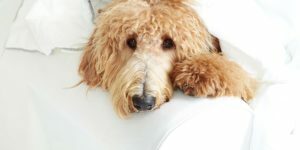 as powerful as the prescription sedative lorazepam and antidepressant effects similar to those of the prescription antidepressant drug imipramine, without any of the negative effects or addiction potential. 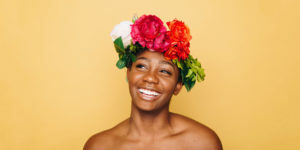 Withania somnifera was also shown to reduce the effects that stress has on the brain by up to 80% or more, making it a key herb for anyone who feels burnout or lives and works in a high-stress environment. 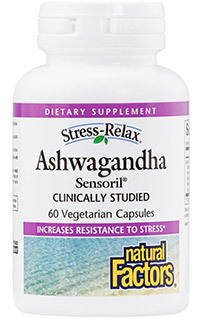 In fact, Ashwagandha has also been shown to reduce cortisol levels, a key stress-related hormone, by 26% on average. But it gets even better than that. A first-class life-extending herb, one of Ashwagandha’s benefits is that it has also been shown in research studies at universities in Japan to regenerate nerve cells and dendrite growth throughout the brain and body, making it a frontline treatment in neurodegenerative diseases such as Alzheimer’s and Parkinson’s and an all-around bio-enhancing substance for anyone looking for a significant health boost. Ashwagandha also improves communication between nerve cells and stimulates the body to heal nervous system damage. 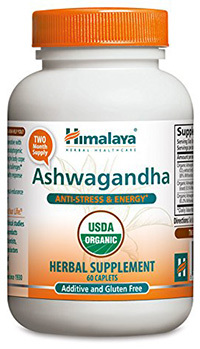 Ashwagandha is also an herbal treatment for sleeplessness and insomnia. 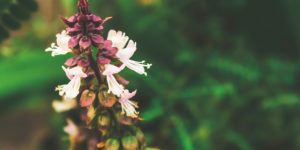 High-potency extracts of the plant have shown a remarkable ability to induce deep, restful sleep without the morning hangover associated with many herbs and pharmaceutical medications. 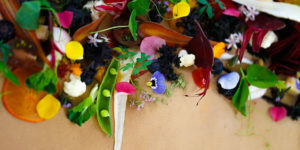 But it gets even better once again (didn’t we tell you that this herb is truly amazing? ): Ashwagandha has been shown in animal and human studies to increase acetylcholine levels in the brain, which are correlated with improved memory, brain function and intelligence. Another of Ashwagandha’s amazing benefits is that it also elevates levels of GABA, a calming neurotransmitter that has complementary effects to acetylcholine. 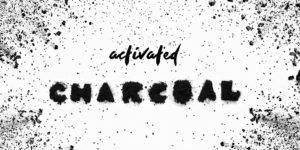 This keeps the the herb’s effects from becoming overly stimulating, which can happen with other herbs that have similar acetylcholine-enhancing effects. Withania somnifera also increases nitric oxide production by regulating the blood flow and pressure of the arterial system, which elevates oxygen levels in the brain—leading to improved cognition—and throughout the body as well. 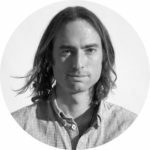 If Ashwagandha only had the properties discussed so far, it easily would be in the ‘Hall of Fame’ of herbal medicines; however, its effects go far deeper than that. Governing nearly every system and process of the body is the endocrine system—a series of hormone-generating glands throughout the body. In many ways, it is the health of these glands that determines your overall level of health, particularly your mood. As you might have guessed, Ashwagandha extracts powerfully harmonize and balance many of the key players in this system, particularly the thyroid and adrenal glands. One of the most incredible aspects and benefits of Ashwagandha is that it can help people with both hyper (overactive) and hypo (underactive) thyroid issues. It has been shown in multiple studies to normalize thyroid hormone levels no matter what end of the spectrum you fall on. The same goes for the adrenal glands, which are highly influential to your overall health and psychological balance. According to Traditional Chinese Medicine, imbalanced or underactive adrenal glands cause fatigue, fear, anxiety, worry and weakness. Consequently, Ashwagandha’s positive benefits and effects on the health and functioning of the adrenals tend to reverse those issues and produce energy, positive mood, self-confidence and peace of mind. The health of the thyroid and adrenal glands have a direct impact on our sexual vitality, including our libido and, particularly for males, performance as well. Ashwagandha is often included in various “herbal Viagra” blends for this reason, particularly for its nitric oxide-boosting effects, which tend to enhance male performance and serve as a treatment for impotence. Withania somnifera has also been known to increase sensation in both men and women, as well as fertility in men due to its testosterone-enhancing properties, among other things. 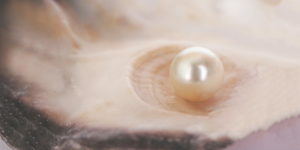 For this reason, it is often used as an aphrodisiac in both men and women. In Ayurvedic philosophy, one of Ashwagandha’s benefits is that it is said to increase circulation of ojas, loosely translated as life force energy, which is the vital subtle energy that food is converted to and that fuels our body, mind and spirit. Correlating to the idea of Jing (vital essence) in Chinese Medicine, Ashwagandha restores these two fundamental energies in the body, which increases overall well-being and has the effect of literally regenerating and rejuvenating the body from the inside out. Ayurvedic practitioners have also traditionally used Ashwagandha to balance, strengthen and open the root chakra, making it a useful herb to support various spiritual practices concerned with Kundalini and balancing the energetic systems of the body. As with all herbal medicines, wildcrafted, biodynamic and organic products are the best in terms of quality, potency and freshness and tend to have the highest levels of medicinal compounds and life force energy (ojas and jing). 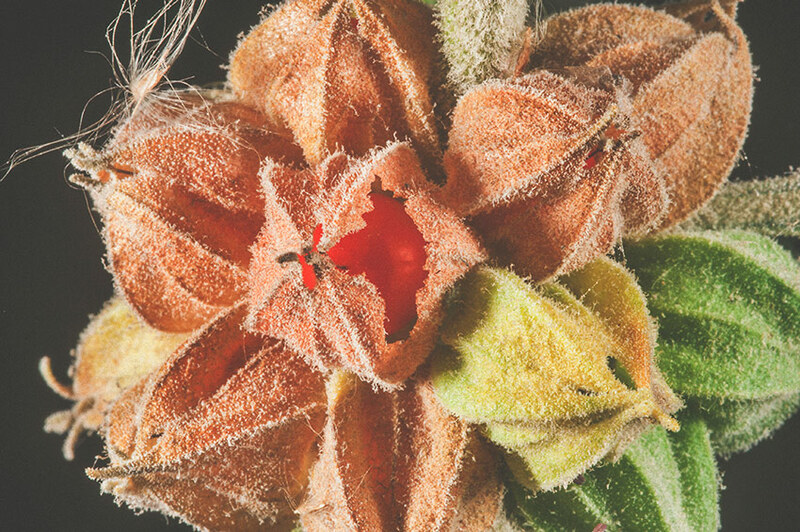 Ashwagandha grows wild in many parts of the world and quality wildcrafted products are available from some of the companies listed on the next page. Somewhat popular compared to many medicinal herbs, Ashwagandha comes in a variety of forms such as capsules, liquid extracts, powders and tablets and even special, high-potency standardized extracts utilized by doctors and naturopaths worldwide (the best known is Sensoril®). Although any dosage of Ashwagandha is quite safe, it is one of the more powerful and psychoactive herbs available, and as such, it is recommended that you start slowly and work your way up to higher dosages until you know how your body reacts. Ashwagandha is an incredible herb, but it must never be given to pregnant women. The various chemical constituents of Withania somnifera can lead to abortion of the fetus. Somewhat ironically, it is often used to correct sterility, but its use must be discontinued as soon as a woman conceives. If you are unsure, please contact your naturopath or midwife before use. Natural Factors offers the clinically tested, high-potency Ashwagandha root extract known as Sensoril. Sensoril has been shown in multiple studies to be highly effective for stress reduction, increased energy, mental acuity and concentration, cardiovascular function, weight management and insomnia. 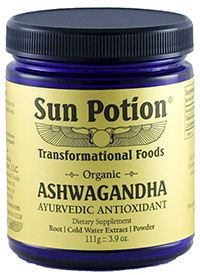 Sun Potion offers a delicious, ultra-high-quality, organic Ashwagandha root powder sourced from small organic farms in Northern India that is cold water extracted for maximum potency and preservation of heat-sensitive medicinal compounds in the plant. Himalaya Herbal Healthcare offers a supercritical CO2 extract of organic Ashwagandha root, which is a highly concentrated form of the plant often used by naturopaths for its powerful, medicinal effects. 100% pure, additive free and ethically and sustainably sourced. 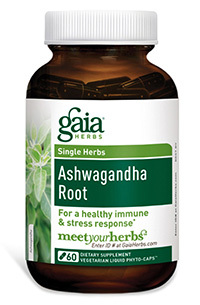 Gaia Herbs offers a blend of organic and wildcrafted Ashwagandha root as a highly absorbable liquid phyto-extract, which is a special, highly concentrated formulation designed for maximum infusion into the body’s tissues, similar to traditional tinctures but without alcohol or allergenic substances. 1. Jayaprakasam B, Zhang Y, Seeram NP, Nair MG. Growth inhibition of human tumor cell lines by withanolides from Withania somnifera leaves. Life Sci. 2003;74(1):125-32. 2. Widodo N, Kaur K, Shrestha BG, et al. Selective killing of cancer cells by leaf extract of Ashwagandha: identification of a tumor-inhibitory factor and the first molecular insights to its effect. Clin Cancer Res. 2007;13(7):2298-306. 3. Devi PU. Withania somnifera Dunal: potential plant source of a promising drug for cancer chemotherapy and radiosensitization. Indian J Exp Biol. 1996;34(10):927-32. 4. Biswal BM, Sulaiman SA, Ismail HC, Zakaria H, Musa KI. Effect of Withania somnifera on the development of chemotherapy-induced fatigue and quality of life in breast cancer patients. Integr Cancer Ther. 2013;12(4):312-22. 5. Singh Narendra, Bhalla Mohit, de Jager Prashanti, Gilca Marilena. 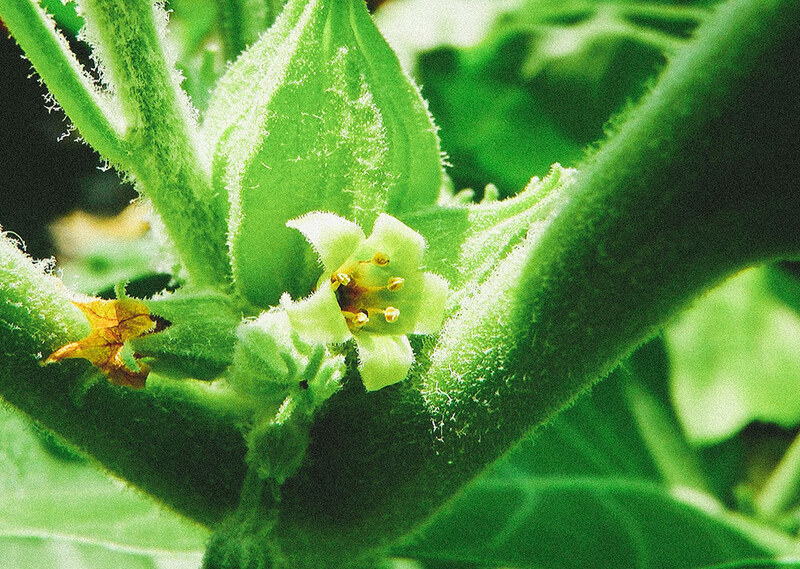 An overview on Ashwagandha: a Rasayana (Rejuvenator) of ayurveda. Afr J Tradit Complement Altern Med. 2011;8(S):208–213. 6. Lee J, Sehrawat A, Singh SV. Withaferin A causes activation of Notch2 and Notch4 in human breast cancer cells. Breast Cancer Res Treat. 2012;136(1):45-56. 7. Hahm ER, Singh SV. Withaferin A-induced apoptosis in human breast cancer cells is associated with suppression of inhibitor of apoptosis family protein expression. Cancer Lett. 2013;334(1):101-8.